In this book, Dr. Korn offers mood-savvy tips, tools and delicious recipes to guide you step by step through the essentials of revolutionizing your diet for optimal health, energy, and emotional well-being. Puerto Vallarta, Mexico - Following up on her last book, Nutrition Essentials for Mental Health: A Complete Guide to the Food-Mood Connection, Dr. Leslie Korn's newest book, The Good Mood Kitchen: Simple Recipes and Nutrition Tips for Emotional Balance has been published and is available at a special pre-sale price before the book is officially launched. In this go-to guide to cooking and eating for better mental health, Dr. Korn offers mood-savvy tips, tools, and delicious recipes to guide you step by step through all the essentials of revolutionizing your diet for optimal health, energy, and emotional well-being. Featuring dozens of easy-to-understand graphics, lists, and charts to help prioritize choices for maximum benefit, 'The Good Mood Kitchen' will teach you how to: Assess your unique digestive style and nutritional needs and develop the diet that’s right for you. Substitute problem foods, ingredients, and habits with healthy, delectable alternatives. Navigate gluten sensitivity and other allergies. Use smarter, healthier food preparation options for busy schedules. Identify common nutritional complications behind depression, anxiety, and other mood challenges. Engage family and friends in nutritional change. And much more. This is the essential dietary road map for anyone interested in improved mental well-being. Are you ready to explore tasty, life-changing ways to eat healthier—and happier? 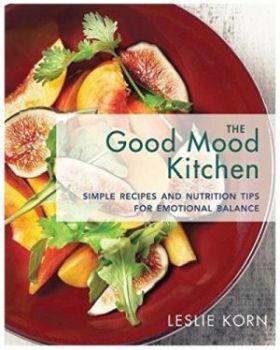 The Good Mood Kitchen: Simple Recipes and Nutrition Tips for Emotional Balance is now available in an eBook version for Kindle and in hardcover at amazon.com. During pre-sale the publisher is offering a substantial discount, so get yours today! Dr. Leslie Korn has a clinical practice specializing in integrative mind/body medicine. She completed her training at Harvard Medical School. She directed a natural medicine health clinic in Cabo Corrientes for over 25 years and currently lives in Puerto Vallarta. 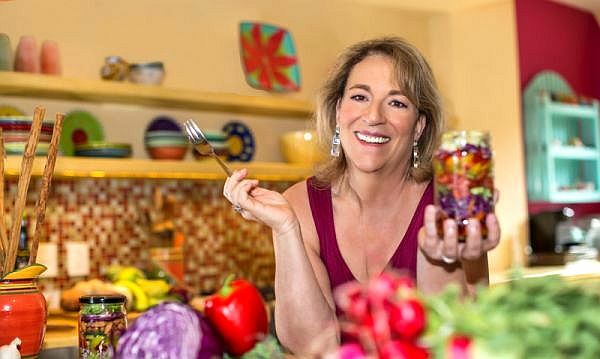 She conducts research on culture, ethnobotany and culinary traditions of the west coast of Mexico, and is the author of 6 books including 'Nutrition Essentials for Mental Health' and 'The Good Mood Kitchen.' To learn more about her work, visit DrLeslieKorn.com, and healthalt.org. She can be reached at lekorn(at)cwis.org. Click HERE to read more articles by Leslie Korn.